A recording of a webinar discussing this case can be viewed here. Their financial details can be found in the discovery document they filled out prior to your meeting. It can be found here: Making Cash Work Harder - RetireUp Fact Finder. 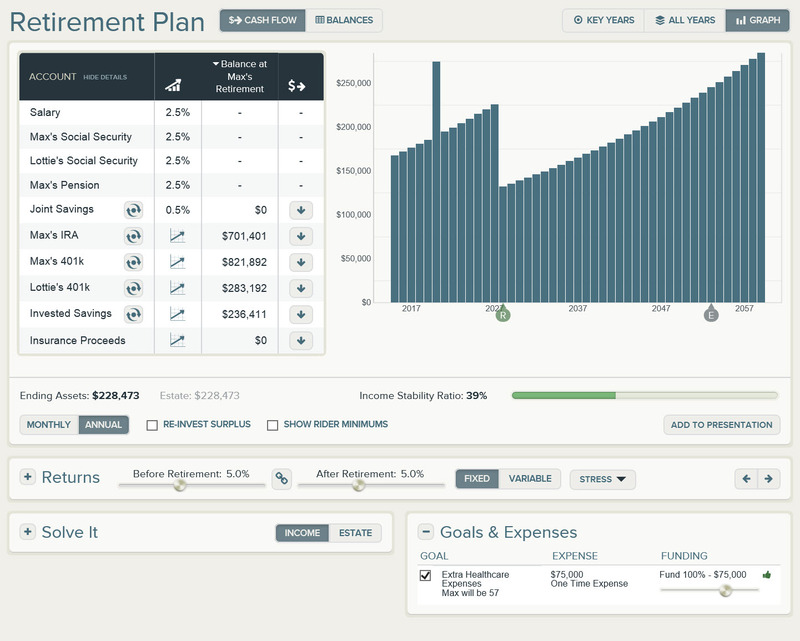 Go to "Goals and Expenses" and create a new expense. “Parents' Medical”, $75K, One-time, beginning at age 57. For most clients, you'll want to do this before the meeting so you can do some preliminary planning. Since they have a general concern about liquidity, not a specific expense, we'll set up a fairly large one-time sample expense related to care of their aging parents. We'll be comparing this plan against others shortly, so it's useful to have a descriptive name. We want the client to be comfortable and confident that the information being used in the plan is accurate. Maintaining the clients' confidence in the plan is key throughout the meeting. Go to the Graph view. Move your mouse over the red sections to show the shortfall amounts. 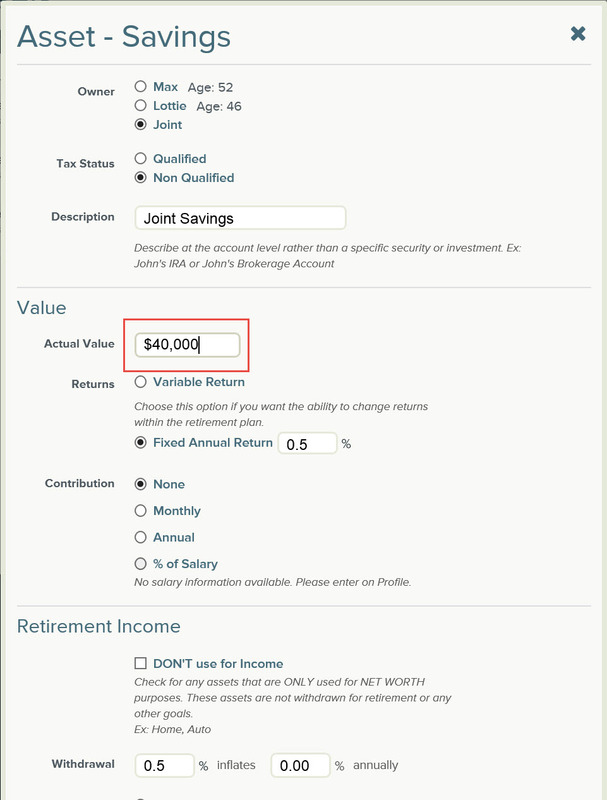 In the Goals & Expenses section, deselect the "Parents' Medical" expense. After discussing the talking points, reselect the Parents' Medical expense. The Graph view is another way to look at the plan. It tends to be easier for clients to understand. When you remove the expense, the plan works. We need to give the client a way to stay liquid while improving the situation so that, if a major expense occurs, the plan will remain healthy. We'll put the majority of your Savings into a Brokerage account with a conservative portfolio targeting 5% net returns. The great thing - it's totally liquid; take it when you need it. The plan now works - no shortfall even with the expense. Even leaves a good cushion of $228,000 at the end of the plan. So not bad! We could stop here. But we just assumed your market-based assets earn a flat 5% rate of return. What if the returns have some variability? 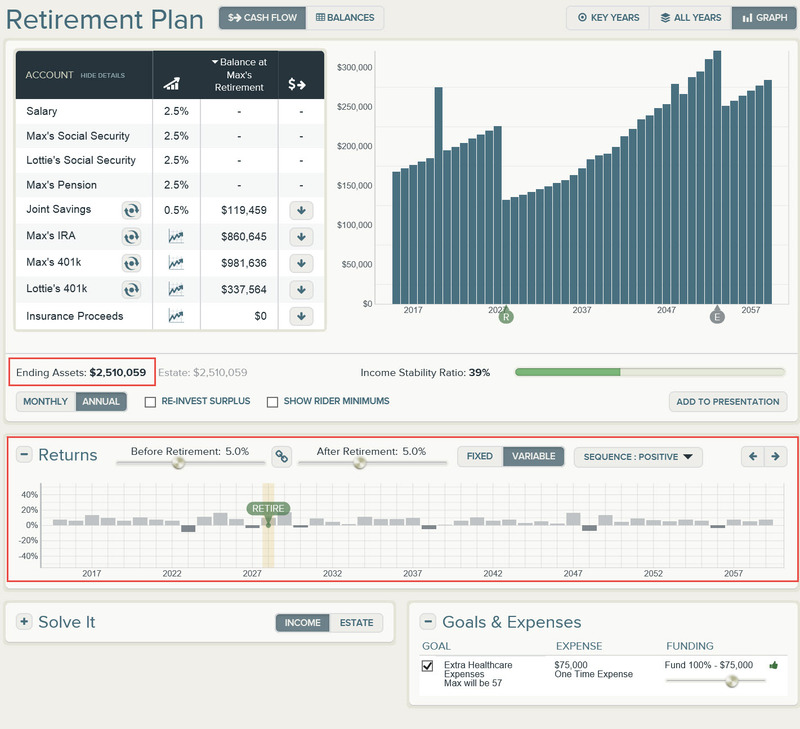 Go back to Current Plan – Retirement Plan. Ensure you're on the Graph view. We're looking at your original plan. Let's talk about sequence risk. The market will have up and down years - and we don't know when. Click "Sequence: Positive" and select "Negative" Alternatively, in a negative sequence, the plan runs shortfalls less than 20 years into retirement. No assets left. Click "Sequence: Average" and select "Negative"
Even our proposed plan, in which we invest some of your savings, struggles in the negative sequence. Under "Proposed", click "Copy". 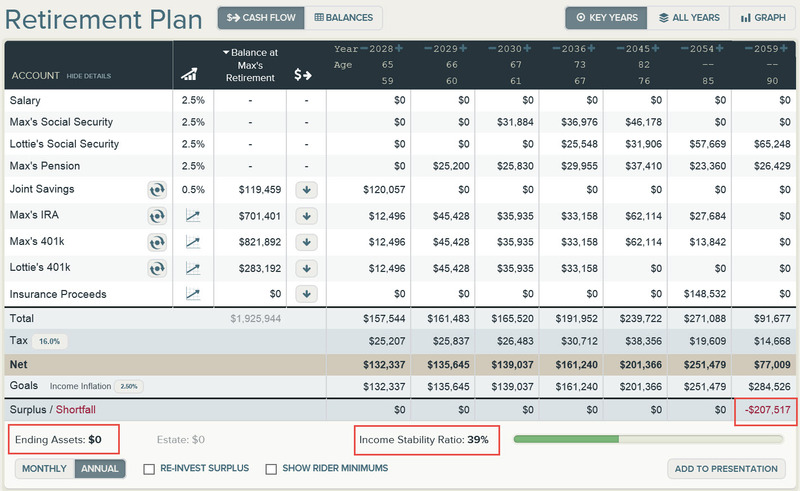 Enter a new plan name of "Proposed Plan - Stable Income" Let's look at increasing your income stability, while still keeping in mind your liquidity needs. 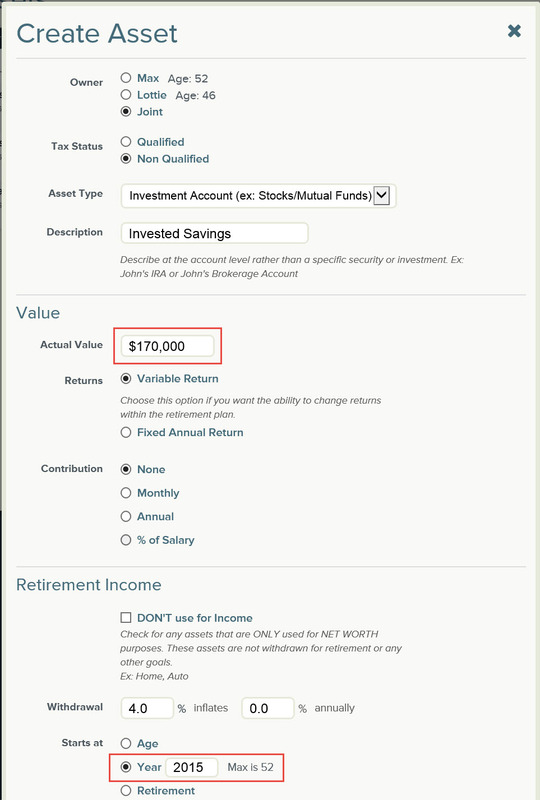 Select Proposed Investment "Indexed Annuity (Increasing Income 7)"
Select "Increasing Income Option 2"
Let's look at an option call an indexed annuity. The purpose is to give you a guaranteed income stream for both of your lifetimes, while also allowing the income to increase over time. "Max's IRA" now has a slider underneath it. Slowly drag it while addressing the talking points. 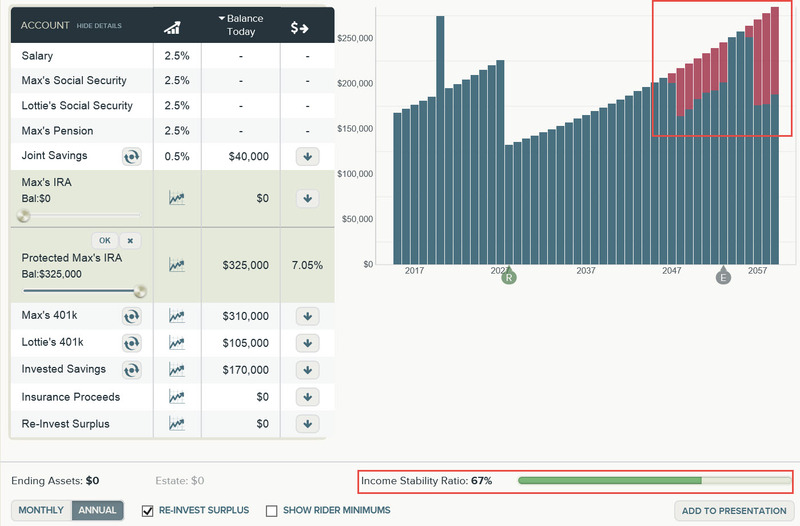 As we move balances, the increased income stability helps buffer your income against this market sequence. Income stability has jumped from 39% to 62%. 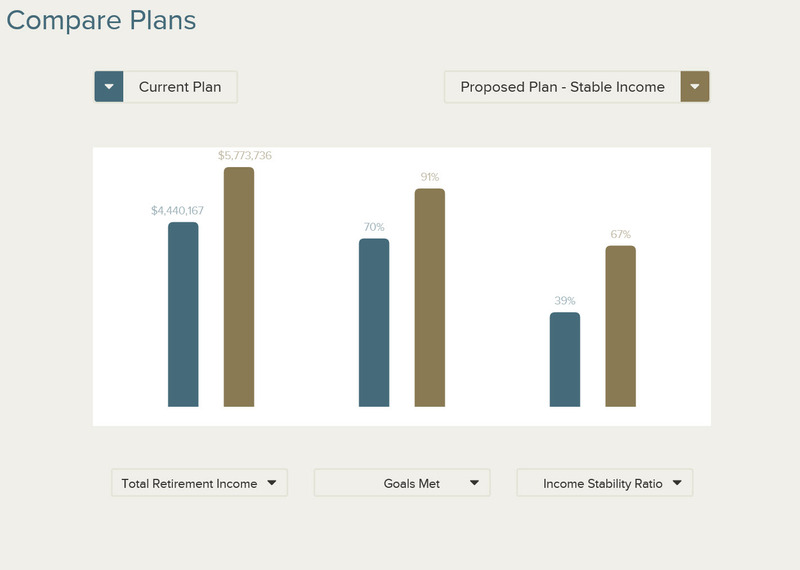 Compare the "Current Plan" to the "Proposed Plan - Stable Income". 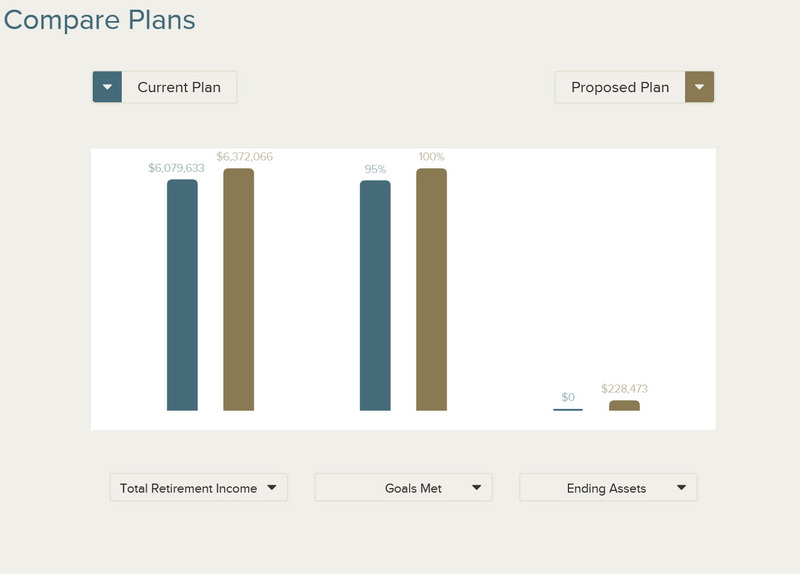 Set the three columns to Retirement Income, Goals Met, Ending Assets. In a negative sequence, you’ve protected the plan against both the unexpected expense AND sequence risk. Close in your own style. Strategy has protected your liquidity needs and sequence risk. From here, you can set all of the plans to different market sequences and compare to your heart's content. When you've finished the conversation, add the relevant slides to a presentation and you're good to go. Great job!